I love art doing art projects with my class, and although we don't have an art teacher or a set time to do art, sometimes I just have to take some time out to let the kiddos enjoy making and creating. That is exactly what we did with this mitten art. I usually borrow my art ideas, and this idea I borrowed from Pinterest. You can find it here. 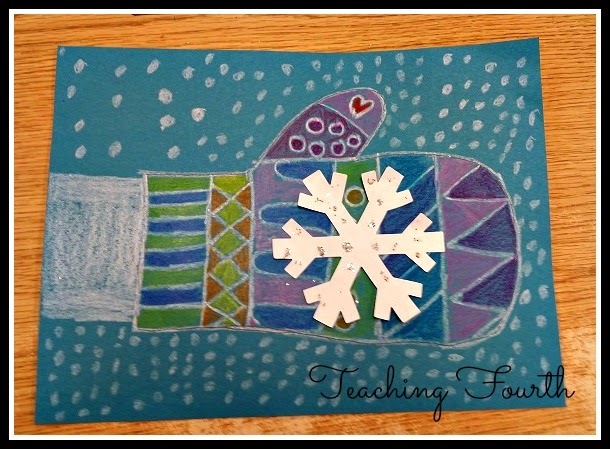 This project was very easy (which is exactly what I like), and the only supplies needed are construction paper, crayons, a mitten pattern (that I drew and copied), and a snowflake cutout for each student. 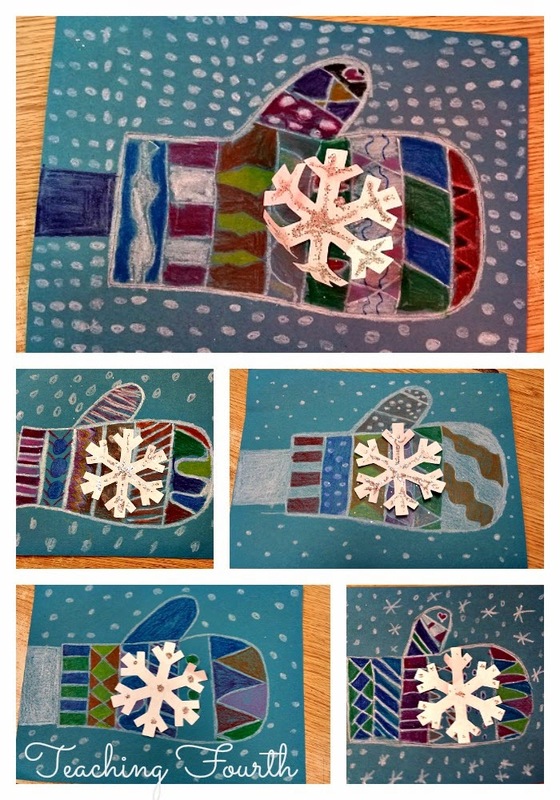 The students simply traced the mitten pattern onto the blue construction paper. 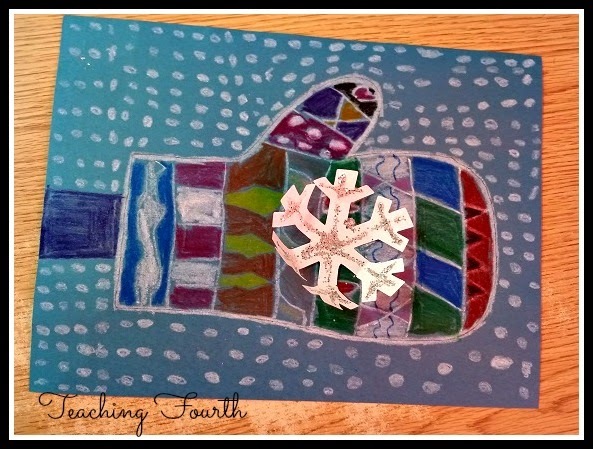 Then they outlined the mittens in white and filled in the mitten with a variety of shapes and patterns. 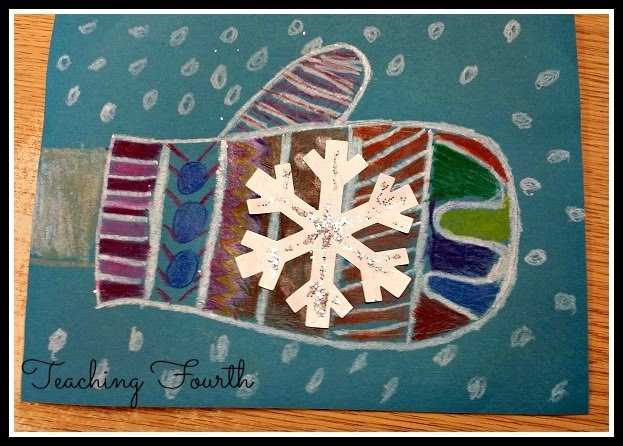 We added a little glitter to the snowflake cutouts before the students glued them onto the mittens. I love the creativity that the students had with the designs they drew! One key to this project is to press down when coloring and fill in completely. This was a fun project that my students loved. I have read this book by Avi to my students for several years. The first time I read this book, I fell in love! 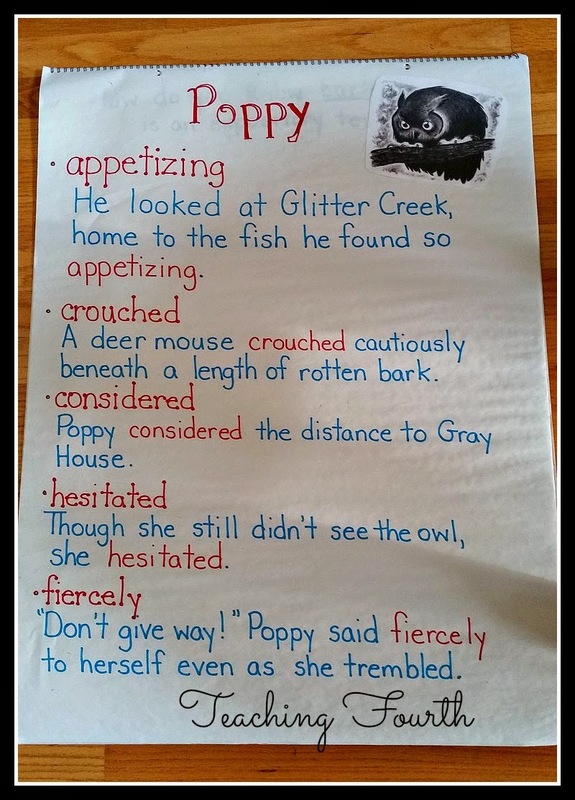 Of course, I enjoy the story of Poppy and how she is a heroine that saves her family from the evil Mr. Ocax, but I also love the complexity of the sentences and how the author's words and sentences flow on each page. This is a fabulous book that captures my students' attentions every year and draws them into this complex story. Students love this book! Another anchor chart that I love to create with read alouds would be a similes chart. 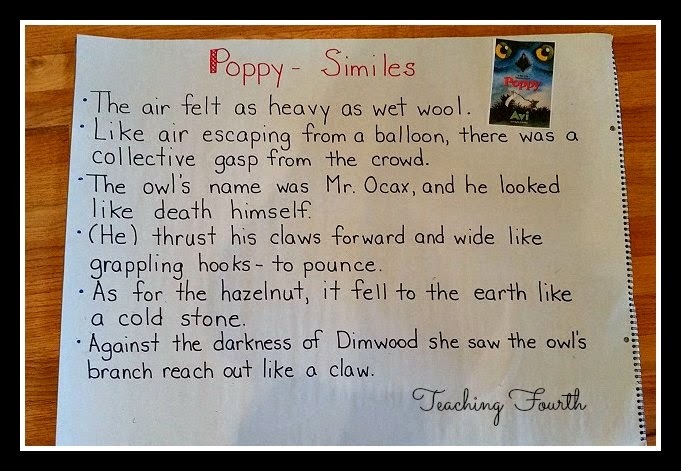 Poppy is not filled with similes, but there are several wonderful examples. Students love to find similes, and it seems that the more we talk about them and chart them, the more that they are able to find in their own reading, and in turn, the more they begin to use in their own writings. Poppy is definitely a book that I highly recommend! 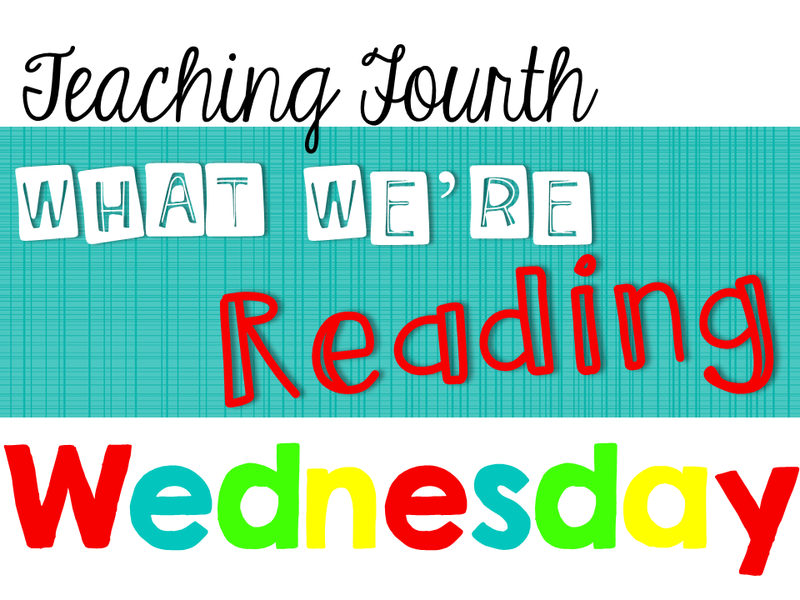 It is What We're Reading this week! What are you reading? I'd love to know!